A $10 million settlement obtained by a 45-year-old longshoreman supervisor from Broward County, FL who lost both of his legs when a container top loader ran over him crushing him under the weight of the heavy machinery. New York mother and daughter recover $5 million award for catastrophic injuries in auto/truck collision. Wife of 35-year-old man diagnosed with acute pancreatitis receives $2 million award for her husband’s death as a result of negligent emergency room care at a Florida hospital. $1,650,000 award obtained by 33-year-old Utah resident for catastrophic and life-changing injuries in a snorkeling accident. $800,000 award for 28-year-old father of two small children from Winter Park, FL who sustained permanent catastrophic injuries when a tractor-trailer crashed into the rear of his vehicle. A $200,000 award was obtained by a New York couple vacationing Cocoa Beach, Florida for serious permanent injuries sustained when a distracted driver slammed into the back of their rental van. $118,000 award for a 36-year-old father from Broward County, FL who fell at a carnival ride while riding with his daughter, sustaining a serious back injury. A 43-year-old New Jersey resident obtains $150,000 recovery for hotel slip and fall sustaining a wrist fracture which required surgery. $300,000 award for a 7-year-old California boy whose feet were crushed in escalator at a theme park in Orlando, FL. $300,000 negligent security award for a Miami-Dade County 19-year-old man who was beaten by a drunken patron at a Miami-Dade County nightclub. 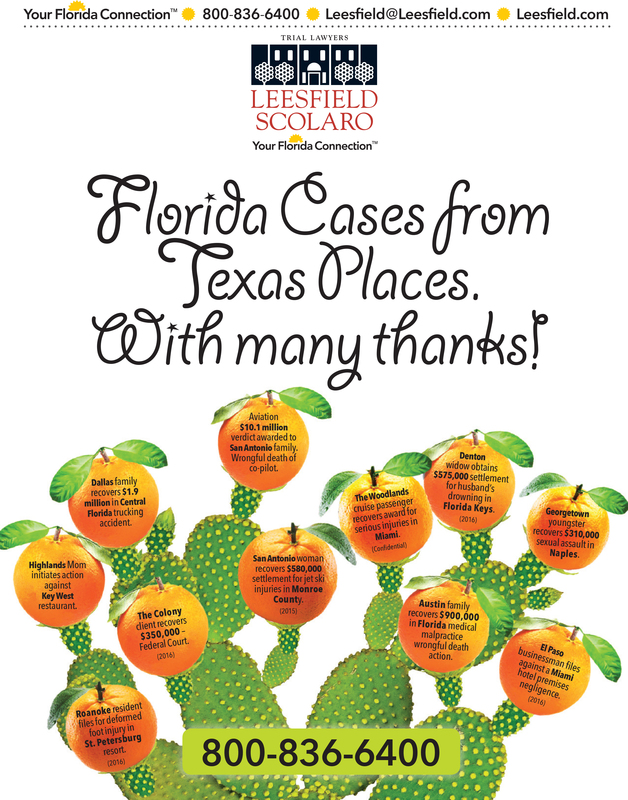 Handling “Cases from other Places” requires a particular skill held by our highly dedicated and knowledgeable staff. 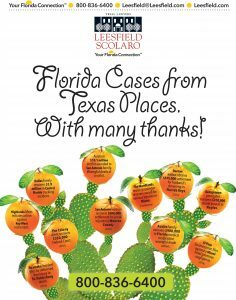 They work with other law firms in coordinating insurance benefits, medical payments and other important logistical assistance to clients as they return from Florida to their home base. 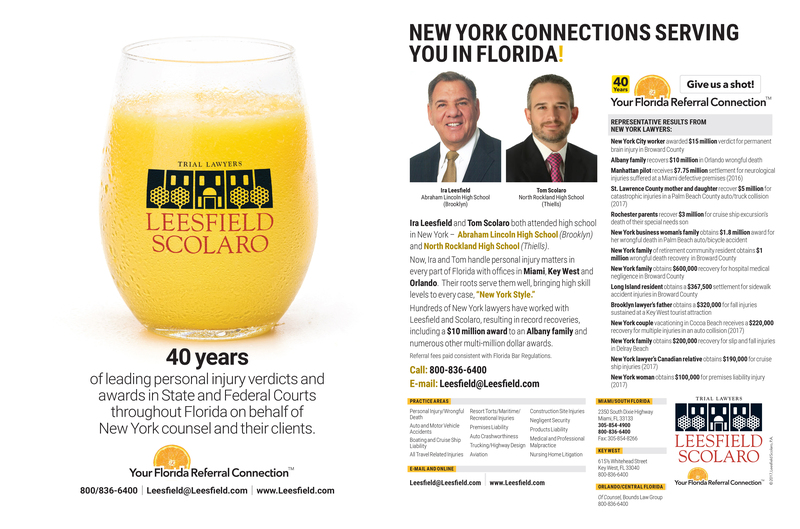 Most importantly, worldwide co-counsel have shown confidence in us and continue to select our firm since 1976. It is particularly gratifying to hear from so many of you often. Please continue to call us on any matter of mutual interest and, again, please be reminded of our Firm’s strong commitment to supporting the less fortunate and “putting something back” into the community and nation through funding of charitable and scholarship programs.